Each of the 5 maps in this set are the same size as the originals and measure approximately 17" x 22.". 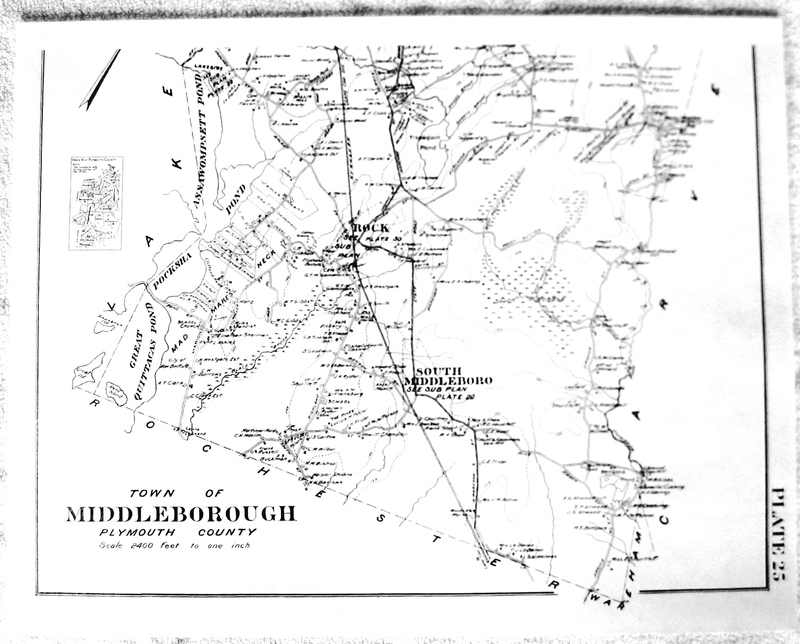 They were published as part of the Plymouth County collection in 1903 by L. J. Richards Company. 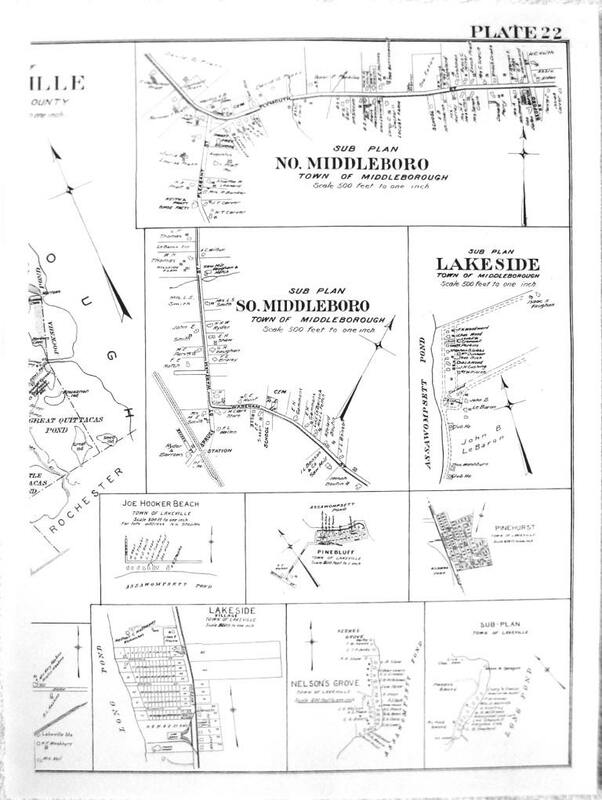 Plate 22 - Detailed sub plans for North Middleboro, South Middleboro, and Lakeside. 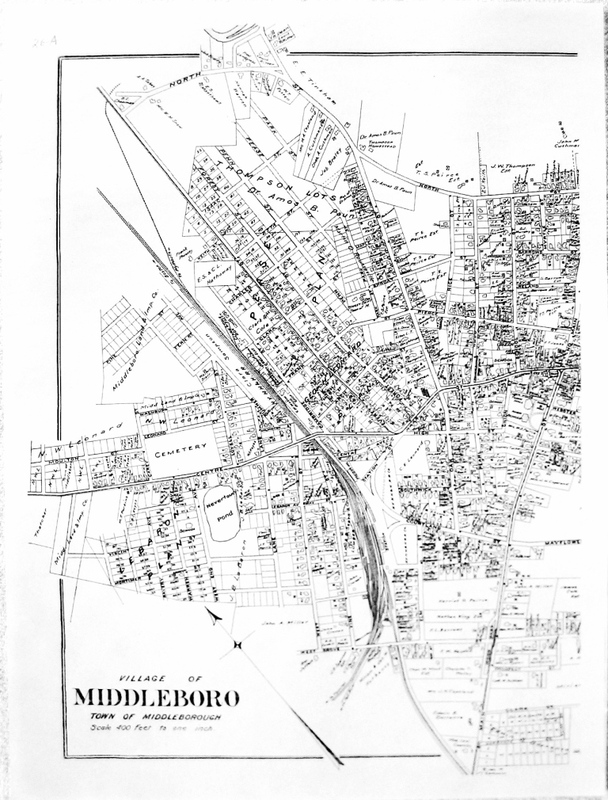 These maps show the roads, rivers, swamps, railroads, elevation, cemeteries, and other local landmarks present in the town of Middleboro in 1903. 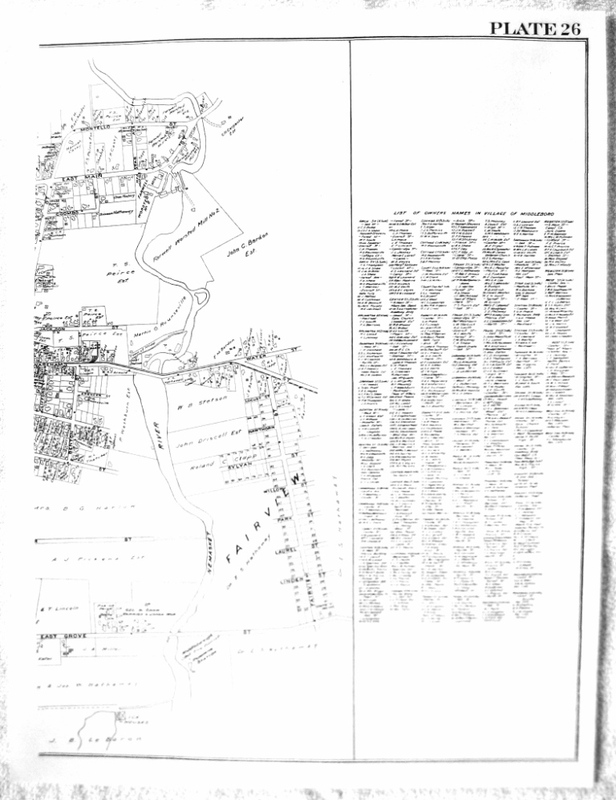 Homes are outlined and identified by the surname and first initial of the homeowner. Town lots are identified with the property owner. 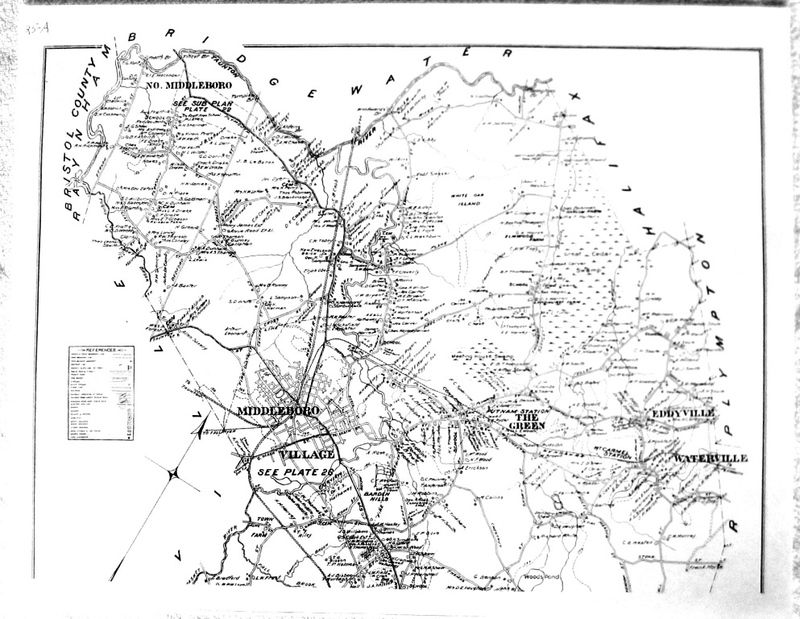 These maps are a great resource for historical or genealogical research!